How many millions of words have been written? From early explorers such as Captain James Cook. From early travel writers such as Robert Louis Stevenson. And so many more. We have had a fascination on tropical islands with crystal lagoons inside pounding reefs. Green mountains staining towards the heavens. Mostly friendly were the Polynesian and Melanesian peoples, well, some didn’t like the idea of strangers trying to take over their part of paradise. Over this period, one of the most visited groups has been the Fiji Islands. So when the invitation came from Blue Lagoon Cruises to come and explore some of these islands, surrounded by the comfort and safety of one of their specially designed expedition style small ships – we were off. Our itinerary includes – The Sacred Islands – Blue Lagoon – Sawa-i-Lau Island and Drawaqa Island. A morning coach ride allows us to meet some of the other passengers, as we head to embarkation from Port Denarau, where we will be transferred to the Fiji Princess. To link with the Fiji Princess, we are ferried in a high-speed catamaran. While enjoying the wonderful islands and reefs as we glide along, we are able to enjoy some welcome on-board ‘bubbles’ and snacks. As we slow down to navigate a crossing into a large bay, there she is, out home for the next four days, Fiji Princess. 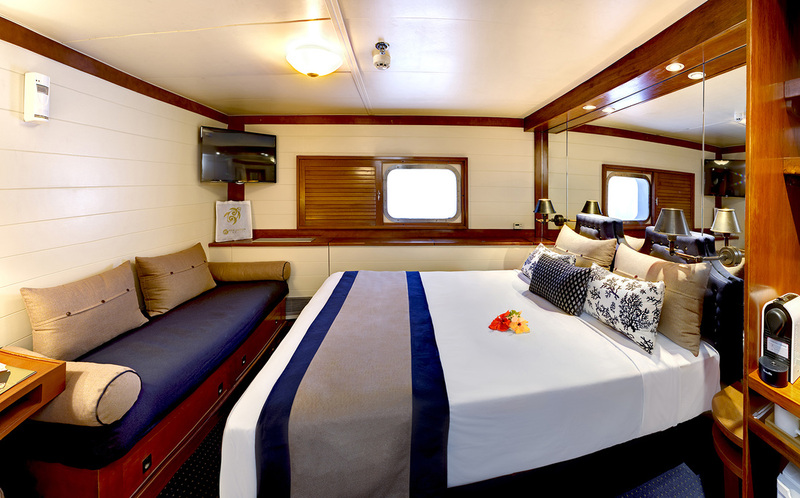 If you are looking for the ‘high end’ of cruising luxury, then this is not the vessel for you! But if its comfort and a small ship, designed to allow access to magical islands and bays, well, please read on. 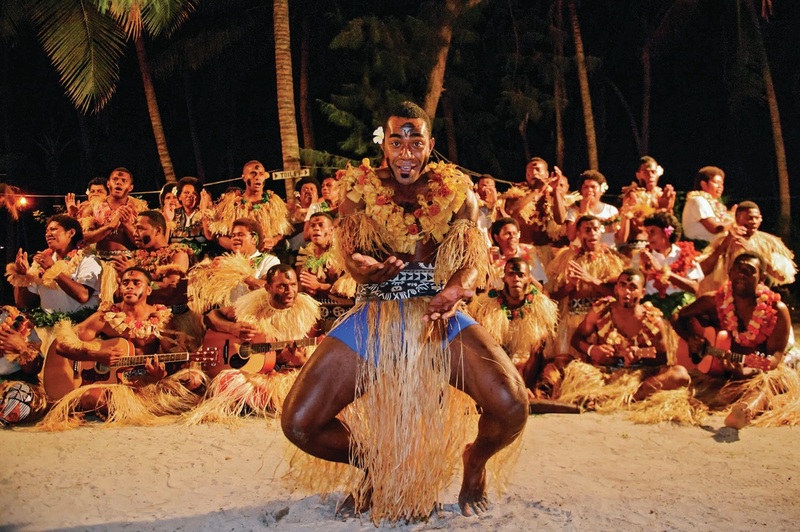 Fijians live their lives on ‘Fiji time’ with family and friends as their first priority. If something doesn’t happen now, the Fijians don’t worry at it is sure to happen sooner or later. This can take a bit of getting used to if you are accustomed to western-style service where drinks arrive at the snap of a finger and tours are run with military precision. However, one of the best things about visiting Fiji is that it reminds you to slow down and focus on what is really important: spending time with those you love. Switch into ‘Fiji time’ and you will quickly embrace the Fijians’ ‘don’t worry, be happy’ vibe. 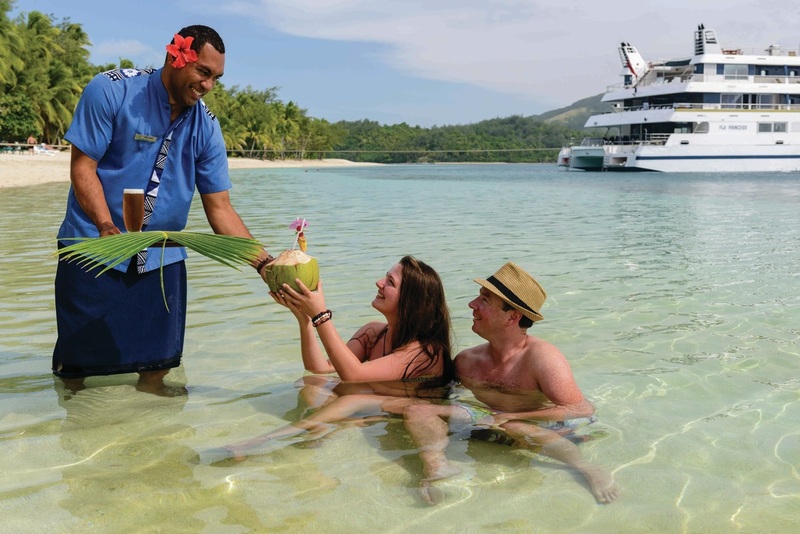 Guests on board Fiji Princess are enchanted into slowing down, enjoying the moment. The crew are amongst some of the most courteous and loveable you will meet. They quickly remember your name and your preferred beverage. Nothing is a trouble. 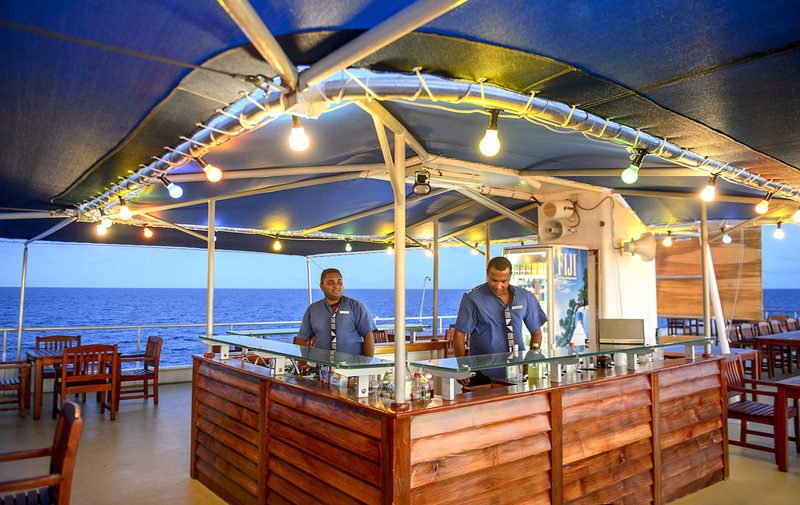 The ship is very clean and the cabins, although small are well fitted out and the pod coffee maker was a boon for Australian’s who enjoy a real tasting coffee. Meals are delightful, with a great variety of fresh dishes presented on the festive board. 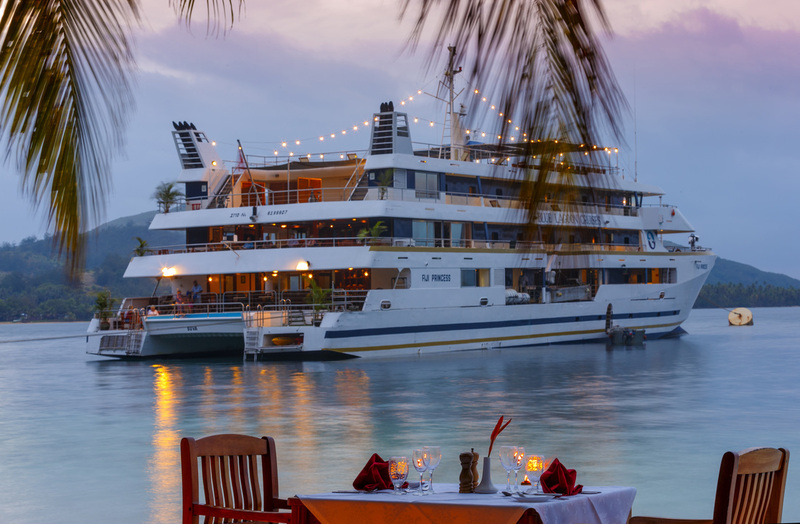 Each of the islands and beaches the various cruises land at have been specially researched by Blue Lagoon, thus allowing passengers the perfect opportunity to enjoy the beauty and to appreciate a Fijian way of life. As you can see by the accompanying pictures, a Blue Lagoon Cruise is the perfect place to capture those very special memories, ones that will last a life time. The arrival in Fiji and the excitement of boarding the ship. Our first sight of the Fijian Princess. The meals and friendliness of the crew. The Fijian BBQ’s on the beach. Having our own private beach to enjoy. The entertainment by the crew. What we can highly recommend is that you contact Blue Lagoon Cruises: www.bluelagooncruises.com and take advantage of the special deal below, or your licensed travel agent today. Special offer available to readers. Book Early and Save! 25% stripped off all Blue Lagoon Cruises prices. 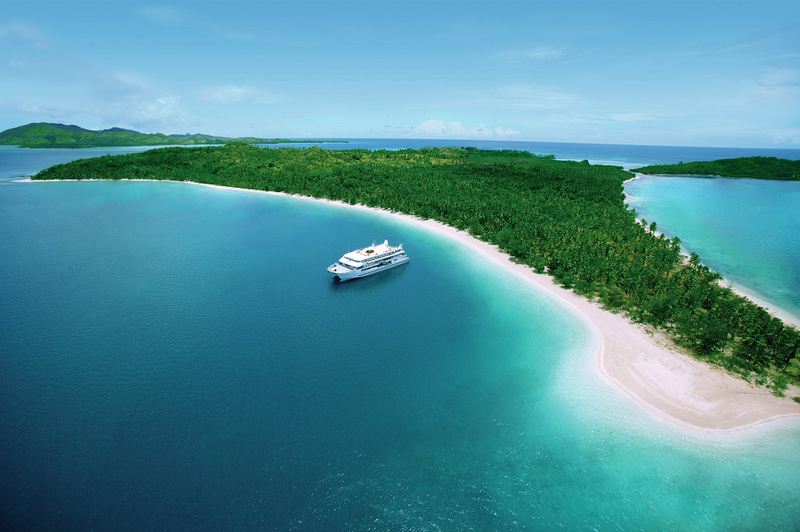 Cruise amongst the unspoilt Fiji Islands on the exclusive ‘Fiji Princess’ small ship adventure. Book & pay in full 6 months in advance and cruise anytime through to 31 March 2017. Contact your travel agent now and quote promo code ADV25-BLC or book online right now! Offer available until 30 June 2016.